Posted in Latest News on December 28, 2015. The Board of Pharmacy recognizes that it is important for the patients of the State of Florida to be able to fill valid prescriptions for controlled substances. 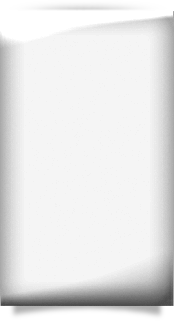 With the assistance of the Controlled Substances Standards Committee, which included physicians, corporate pharmacy company representatives, industry representatives and Board members from Pharmacy, Medicine and Osteopathic Medicine, the Board revised Rule 64B16-27.831 regarding dispensing of pain medicines. It becomes effective December 24, 2015. The revised rule focuses on communication, education and collaboration. In filling these prescriptions, the Board does not expect pharmacists to take any specific action beyond exercising sound professional judgment. Pharmacists should not fear disciplinary action from the Board or other regulatory or enforcement agencies for dispensing controlled substances for a legitimate medical purpose in the usual course of professional practice. Every patient’s situation is unique and prescriptions for controlled substances shall be reviewed with each patient’s unique situation in mind. Pharmacists shall attempt to work with the patient and the prescriber to assist in determining the validity of the prescription. 1. Initiate communication with the patient or the patient’s representative to acquire information relevant to the concern with the validity of the prescription. 2. Initiate communication with the prescriber or the prescriber’s agent to acquire information relevant to the pharmacist’s concern with the validity of the prescription. Instead of speaking to both patient and prescriber, the pharmacist can access the Prescription Drug Monitoring Program’s Database to acquire information relevant to the pharmacist’s concern with the validity of the prescription. The pharmacist should speak with either the patient or prescriber in attempting to validate the prescription. However, if the patient or prescriber refuses to cooperate with the pharmacist, the pharmacist is not required to fulfill these minimum requirements for validation. If a pharmacist has reason to believe that a prescriber is involved in the diversion of controlled substances, the pharmacist is required to report the prescriber to the Department of Health. A complaint form can be found here: http://www.floridahealth.gov/licensing-and-regulation/enforcement/index.html. The revised rule also requires that pharmacists complete a two-hour course on Validation of Prescriptions for Controlled Substances for license renewal each biennium. Licenses must be renewed by September 30, 2017, and the course will be required for that renewal. 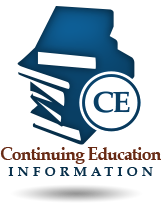 Continuing education providers must apply through CE Broker to qualify courses. (e) The laws and rules related to the prescribing and dispensing of controlled substances. Find the full language of the rule by going to the resources page and looking under the Florida Administrative Codes section.